Fiction magazine editors aren't normal readers—so what are they looking for? Tobias Carroll, managing editor of Vol. 1 Brooklyn, is here to tell you in this two-week course. Writers cut their teeth on short stories. It's where you learn the importance of good submission practices. It's where you build your name and your reputation. It's where most writers get that first taste of holding their own words in a bound, printed format. But getting your stories published in a quality literary magazine takes more than just emailing 2,500 words to a dozen email addresses. A successful submission must be sent to the right publication and must hook the reader—but people who read for writing magazines aren’t normal readers. While you can find blogs and books devoted to creating characters and showing instead of telling, it's harder to find advice on the elements of story that get them past the gatekeepers. So we've recruited one of those gatekeepers: Tobias Carroll, managing editor of Vol. 1 Brooklyn. Not only does Tobias select and publish short stories in a prestigious magazine, he's an accomplished short story writer himself. His work has appeared in Tin House, The Collapsar, The Collagist, Joyland, Necessary Fiction, and Underwater New York. So he knows how it feels to be on both sides of the coin—rejecter and rejectee. And he's here to give you an insider's view of the short story submission process, and help you develop a short story into a submission-worthy state. * Tobias will not be considering the stories in this class for publication in Vol. 1 Brooklyn. Tobias will discuss what he considers crucial: finding the right place to submit your work. It's almost as important as the submission itself. 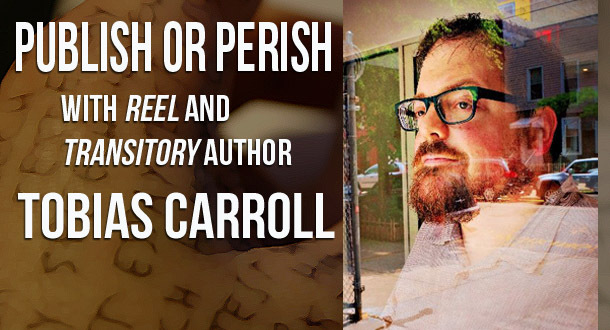 Having a sense of the literary landscape is essential, and he'll share examples from his own experience, submitting fiction as well as working as an editor. He'll also go through some examples of stories that have been submitted to Vol.1, reviewing what worked and what didn't. In the first week, you'll submit a story—something that's close to being finished, or is out on submission, for review by Tobias and your classmates. Tobias will return his comments, and talk about what worked and what didn't in the stories that were submitted to him. He'll also offer advice on potential markets. Included in that will be discussion of setting up Vol.1 Brooklyn's Sunday Stories, and the fact that many literary magazines have different approaches: some have readers, some have one editor, etc. He'll also talk about cover letters.